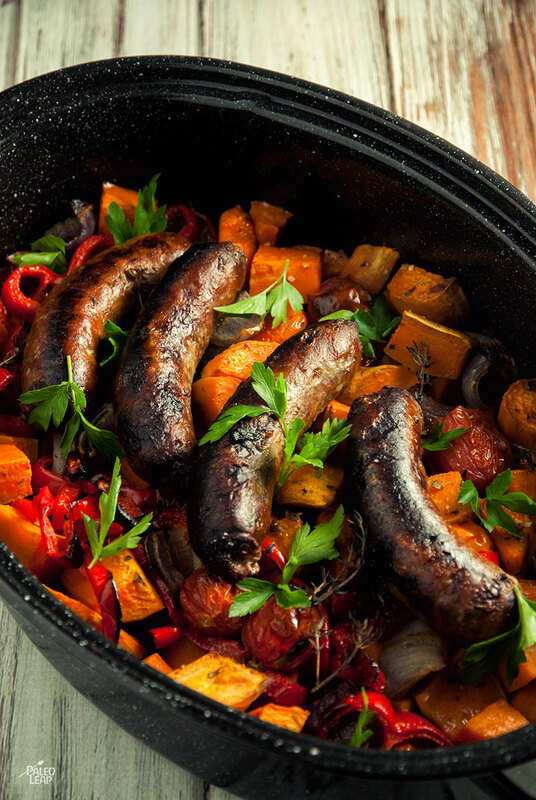 The classic problem with cooking sausages in the oven is that you lose all the delicious juices, but a quick bed of vegetables solves that: any drippings from the sausage get used to flavor the peppers and sweet potatoes, and it even cuts down on your prep time by making a side in the same dish. This recipe is perfect for an easy dinner, but don’t be afraid to make it for breakfast, either. 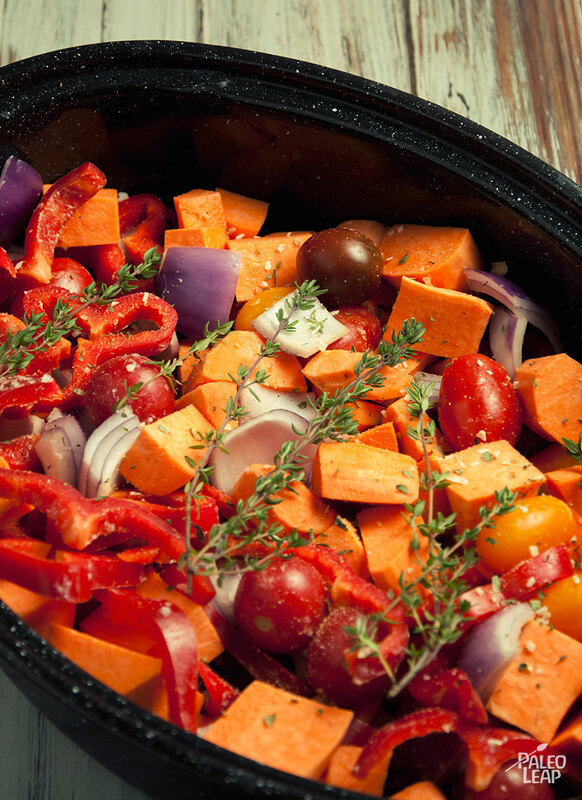 It does take a while to cook, but it would be great for brunch on a weekend; just pop it into the oven and come back when the smell starts making your mouth water. SERVES: 4 to 6 PREP: 20 min. COOK: 45 min.